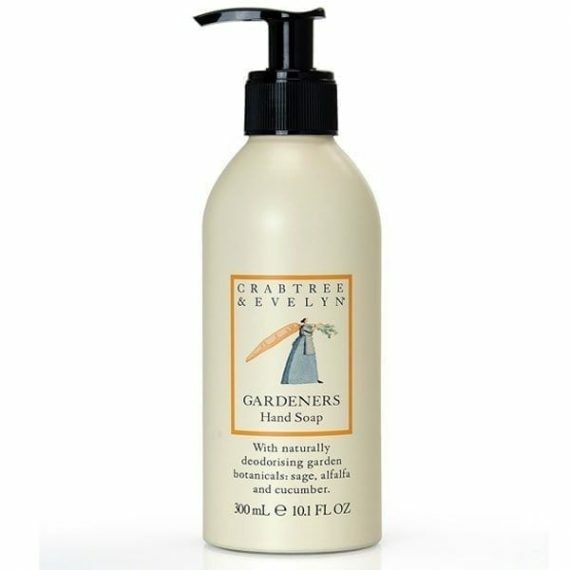 Gardeners Liquid Hand Soap is a popular hand soap from Crabtree & Evelyn that blends alfalfa, carrot root, rosemary leaf, sage and chicory leaf leaves leaving hands feeling clean and refreshed after a day in the garden. Naturally deodorising – Alfalfa and herbal extracts – Mild pH balanced formula. Scent: Fresh green clover, lavender, sage rosemary and thyme.